Single sheet. Engraving coloured in outline. Scale: [circa 1:15,000,000]. 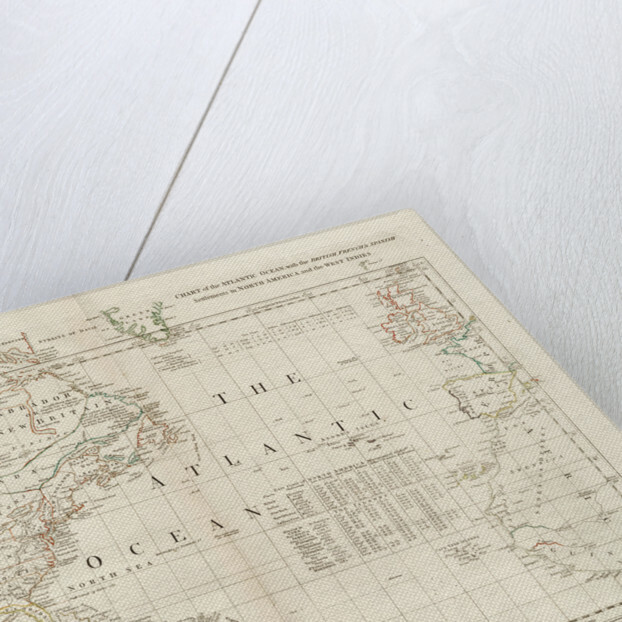 Mercator projection, prime meridian through Ferro, with longitude from London added. Graduated for latitude and longitude. 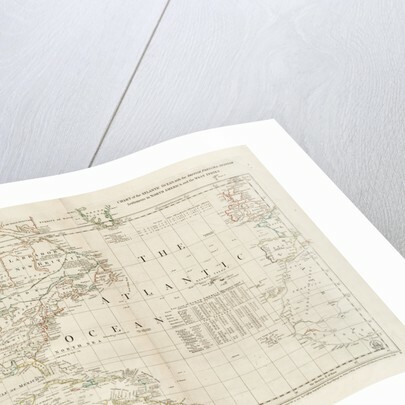 Outline colour denotes the discoveries and settlements of colonising nations. The chart contains tables of geographical positions. 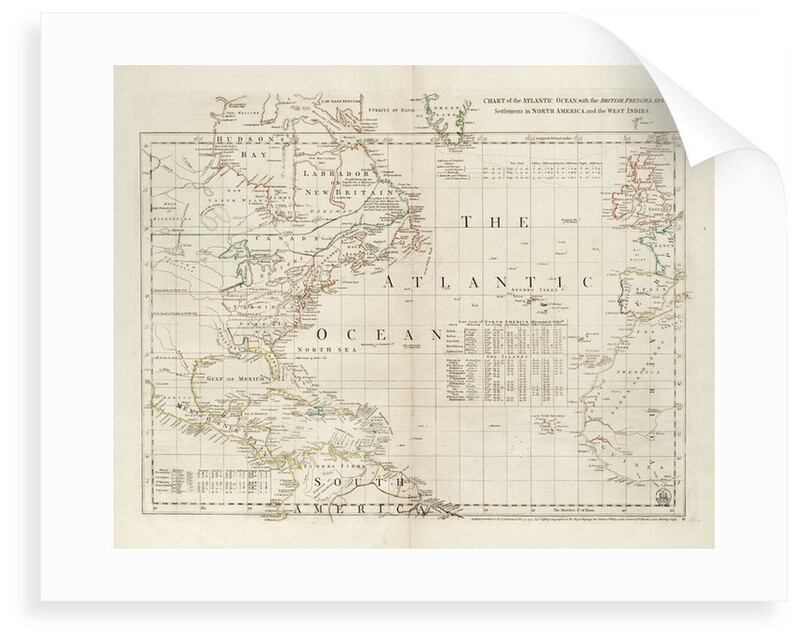 Sheet 4 from a set of 6 comprising: A chart of North and South America, including the Atlantic and Pacific Oceans, with the nearest coasts of Europe, Africa and Asia. More by the artist Thomas Jefferys. 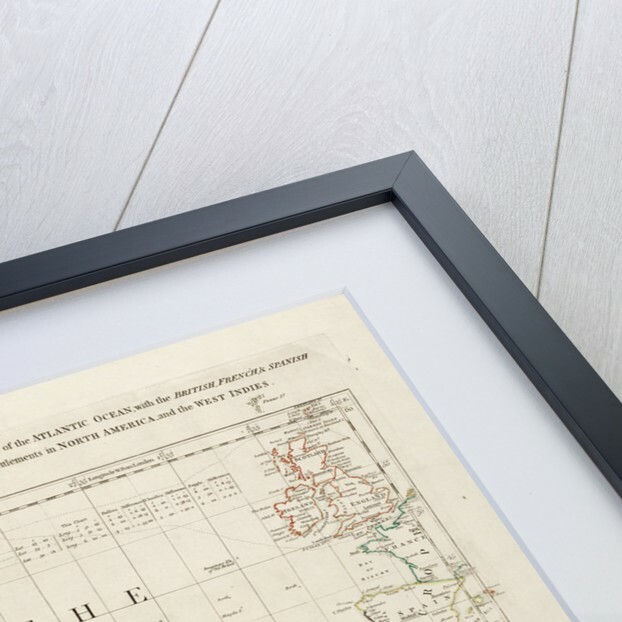 Explore the collections John Harrison and the Longitude, Maps & charts.